Taking the festival outdoors and celebrating with everyone, the Israel Festival presents several shows free and open to the public: La Putyka Circus, Castle in Time Orchestra, and the Ka’et Ensemble. 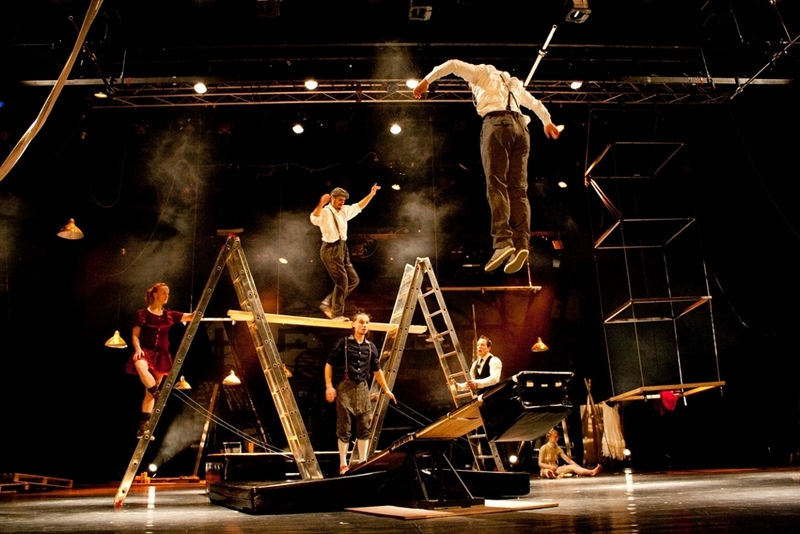 La Putyka Circus will present two of its signature shows at the Israel Festival: Slapstick Sonata and La Putyka. Performances are free and open to the public, and will take place in Zion Square on June 7th and 8th in the context of Prague Week in Jerusalem. The contemporary circus company was founded in 2009, with the intention to create a theatre poetics that merges acrobatics, contemporary dance, puppetry, and music, with emphasis on the story and message. The ensemble of twenty performers includes: actors, musicians, acrobats, puppeteers and dancers. Artistic director and principal of La Putyka is Rostislav Novák Jr., and General Manager is Vít Novák. La Putyka takes a look at Czech pub culture from a humorous perspective in a show that combines dance, theatre, acrobatics, puppet theatre and live music. Directed by Rostislav Novák Jr. Performances will take place on Wednesday, June 7th and Thursday, June 8th at 17:00. Night falls in a warehouse in Prague, and workers on the night shift begin their mundane routine… only to break out of it in a blaze of humor, movement, silliness and physical theatre. All set to the music of Mozart, Handel, Shostakovich and more. Directed by Maksim Komaro. Performances will take place on Wednesday, June 7th and Thursday, June 8th at 21:00. The Castle in Time Orchestra will perform an outdoor concert in the Jerusalem Theatre Square on Thursday, June 8th at 19:35. Castle in Time is an ensemble of musicians that combines classical and electronic instruments. Their project is inspired by the philosopher Abraham Joshua Heschel and his metaphor of the Shabbat as a castle in time. The Ka’et Ensemble will perform a selection of scenes from their dance repertoire, outdoors in the Jerusalem Theatre Square on Tuesday, June 13th at 19:35. Ka’et is a contemporary dance ensemble of religious men at the Between Heaven and Earth Center.